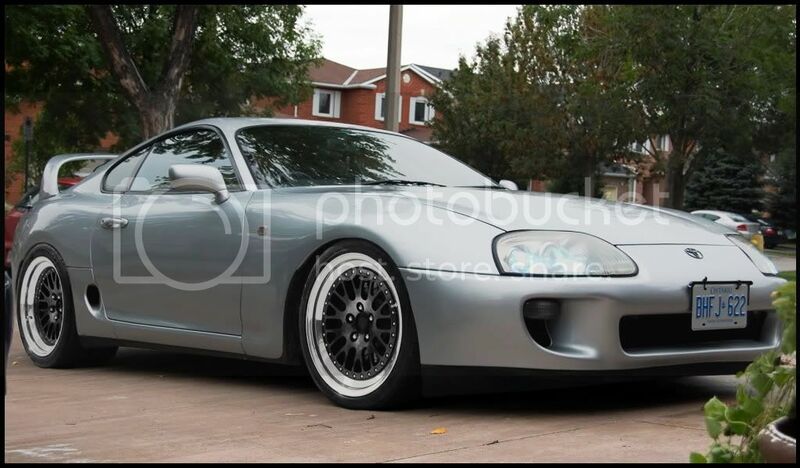 Sorry to make another thread, but I found a silver MKIV with 46000kms in Toronto for an awesome price. Who should I ship the car with?? I found keewest that looks good. I've changed the topic and moved this to the Supra forums. Sometimes there are decent cars around locally but you've probably seen that most of them have some undeclared issues. Do you have a link to the car? Is this an RZ or SZ? Do you think you could move it back? It is a SZ, 5spd, 46000 kms, $8500. All stock. He started to turbo it but couldnt afford the rest of the parts, so he sold the parts and it selling this car to buy a turbo car. I am going to get him to take it to a mechanic and get some more pictures. It seems almost every car you look at has an unbelievable story from the owner. What do you guys think? I think the last car you looked at was originally turbo'd RZ and the guy said he sold the turbo and made it NA or is this the same car? Unless you are able to drive to see it I would be very suspicious of this car. It is an N/A from the factory. He started doing a NA-T conversion on it but could not afford the rest of the parts to finish it. So he took the parts off that he installed (FMIC, Turbo, ect) and sold them. He is now selling the car because he wants a turbo lhd with the targa. Not really an unbelievable story. I made this thread to be about who to ship the car with, not about the car. Last edited by Braden; 04-11-2010 at 03:53 PM. OK Braden sorry, I was just offering my advice. I know you asked about shipping and I don't have any advice on shipping for you. I just don't want to see you ending up with a bad car. From what I read, you had no idea about the accident damage with that car in Saskatoon until later on and it wasn't mentioned up front by the owner from the impression I got. Whether the story is believable wasn't my focus but more-so whether the car is actually in good condition overall. No problem, sorry if I came off rude. He did tell us up front about the accident damage, the only reason we didnt get it is because we knew we could get a car in better shape for a bit more, and it is not worth it. This car is registered in Ontario and is being drivin right now, it has had what needed to be done to it once it got off the boat. It is 100% stock, thanks for the concern and the advice. I am getting more pictures of it and it is going to be taken to a mechanic for a full inspection. So in a way it is just like buying a car from Japan, I am kind of "buying blind" but not really. No worries Braden, we all get frustrated sometimes. As long as you're happy and you are confident with this car then go for it. I contacted William and he said he uses searail without issue. The pictures of the car look good, there is 1 or 2 minor scratches on the car by the looks of it. The interior is clean, and to be honest, its a first car, I don't care about the minor stuff to much. I was happy with that POS car here in Stoon, this (just by the pictures) is miles ahead and has less than half the KM's. Here is a picture of the car with some CCW's photoshopped on. I think these will be the rim of choice for me. Screw the CCW's... $2500 for 4 16inches!! Last edited by Braden; 04-11-2010 at 04:26 PM. I Don't know Braden. Honestly this guy sounded pretty tweaky to me too. I'd personally not be interested. Searail worked for me by the way, but I'd never do a shipping deal with anyone I didn't have really good reason to trust. Honestly with the crowd that this guy fits in with, I think you're looking for trouble.